Brand New Condo Construction! 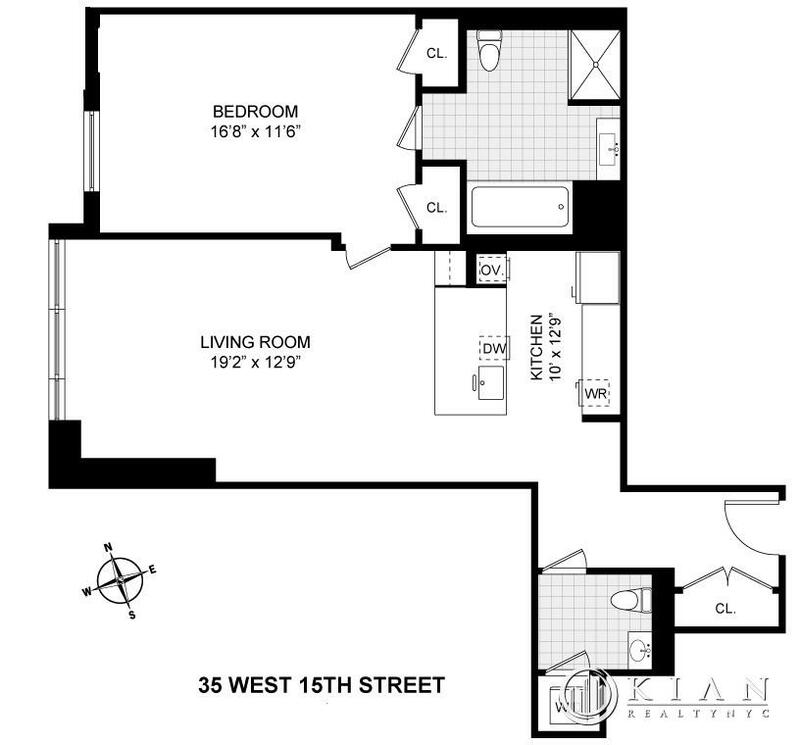 Gorgeous Extra Large 1 Bedroom 1.5 Bathrooms. Super Bright West Facing Home with an Overabundance of Sky and Light through Floor to Ceiling Windows. This Sleek, Spacious, Stunning Space is highlighted by 10' Ceilings, Solid Oak Hardwood Flooring, a Gorgeous Open Chef's Kitchen replete with Stainless Miele Appliances, Wine Fridge, and plenty of custom Poggenpohl Cabinetry. The Master Bedroom can easily accommodate a King Size Bed, has 2 Oversized Closets and features an en-suite Spa-like Master Bath with Deep Soaking Tub, Steam Shower, Radiant heated Marble floors and Grohe fixtures. There is an integrated Crestron system, Automated Blinds and Shades, Central Air, an Asko Washer/Dryer and a Half Bathroom just off the Foyer. Sorry No Pets. Beautiful Brand New Building features a fully equipped Gym, Resident's Lounge, Children's Playroom, 75' Long Outdoor Sunbathing Deck, Personal Wine Storage Room, and 24 Hour Concierge, Live in Super. Located in the Flatiron District, a stone's throw to Union Square, Whole Foods, the Westside Market, the West Village, and 15 Subway lines.